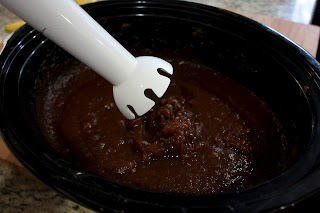 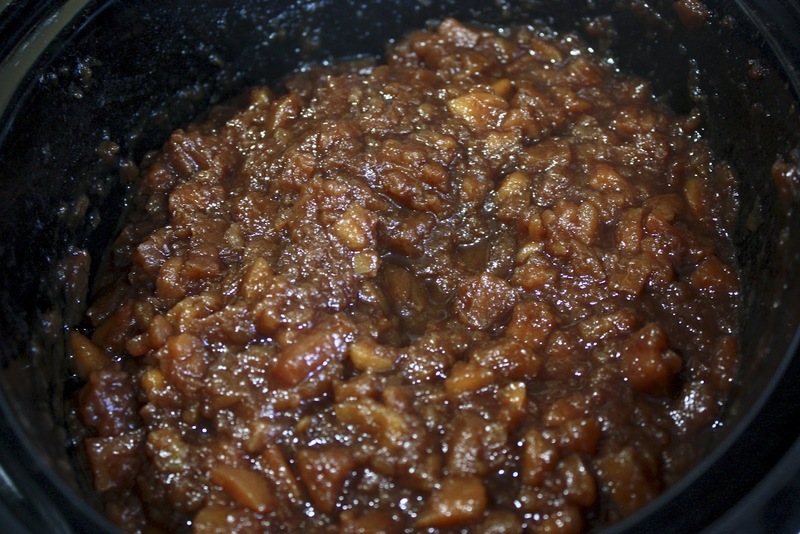 A good friend of mine has two large apples trees in her backyard, and in an attempt to make use of these delicious sweet and crisp apples I decided to make an apple butter, which I've never made before. I have made apple sauce, but I'm never a fan of the consistency and mouth feel, so I figured a butter would solve that. 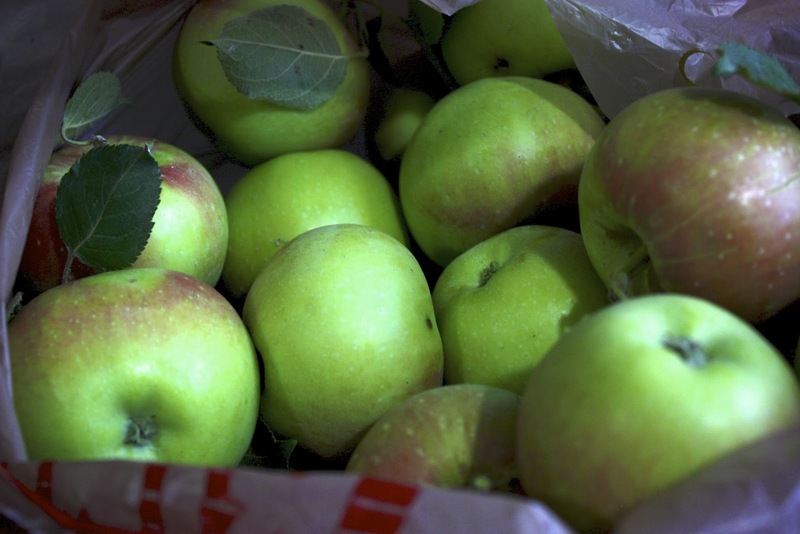 I find that the apple trees most people have in their yards often produce a starchy less sweet apple than you can buy, but these apples are great. 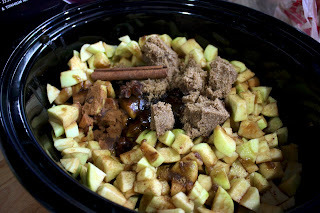 1 grocery bag full of apples- peeled and diced fine- I would estimate I have about 30-40 apples completely filling my crock pot. 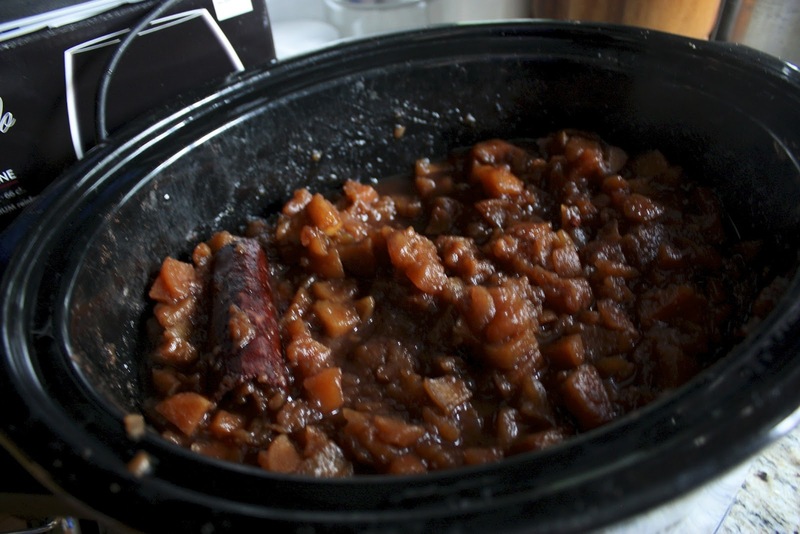 Mix everything well in the crock pot. Place on high for 1 hour, then switch to low for another 8-10 hours until the mixture has completely caramelized and the pieces of apple are so soft they are mushing when stirred. 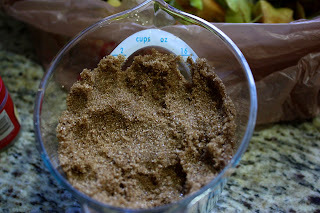 Then take your immersion blender (or pour mixture into regular blender) and blend to the consistency you like. 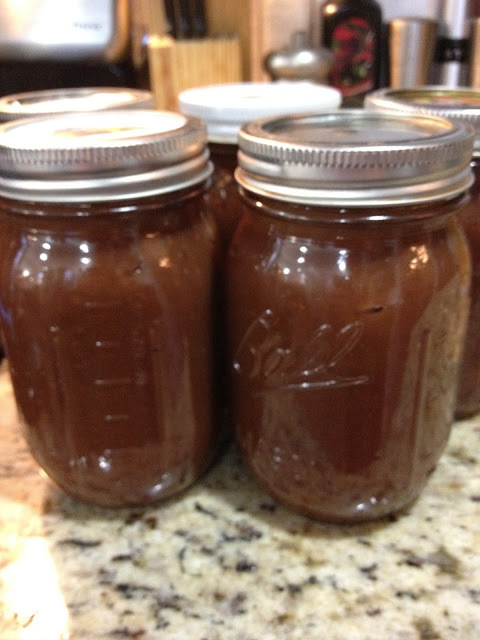 To can, place apple butter in sterilized mason jars with 1/2 inch of head space, and process for 10 minutes, adjusting for altitude.